Pucker up! 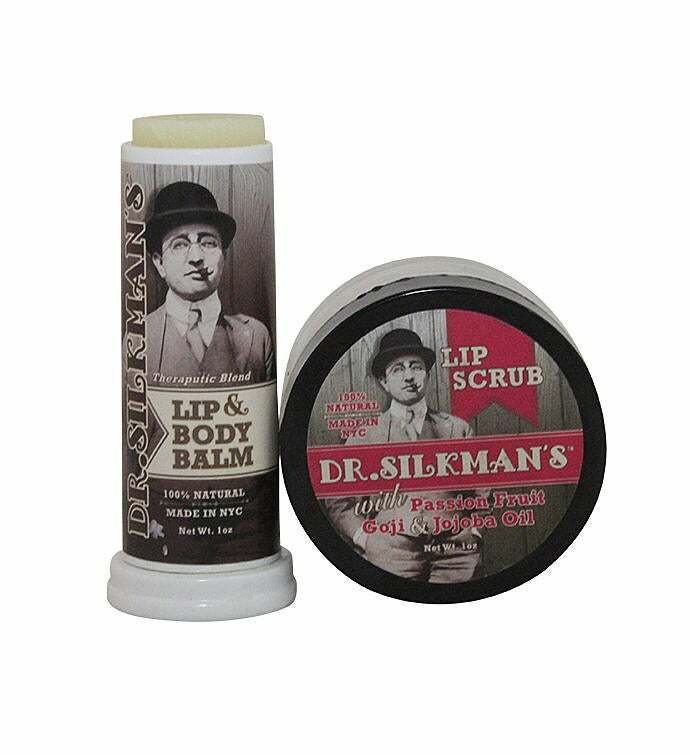 Keep the smoocher kissably soft with this 2 piece kit from Dr. Silkman's. The all natural scrub gently exfoliates and moisturizes the lips, and is super yummy! The jumbo Lip and Body Balm heals and protects even the most cracked lips, or use it anywhere else on the body!